NOTE: Due to a recent change in airline policy, we are temporarily unable to book international travel reservations. Domestic travel remains unaffected. Moving is stressful enough without the worry of transporting a pet. Negotiating each country's importation rules and airline regulations can be complicated. We have assisted clients with both international and domestic travel. 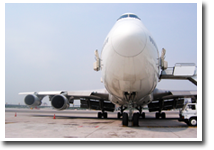 Our services include assistance with import and export documentation, travel to and from veterinary appointments, quarantine fulfillment, making sure airline health and carrier requirements are taken care of and final drop off to the airport. Sometimes clients travel ahead in order to get settled in and prepare the house instead of traveling with their cats. A quiet household free of boxes and movers helps cats to adjust faster. We'll make sure your cats get to you comfortably and safely. Cats that need to fulfill their quarantine period don't need to do so in a government run kennel. We provide a comfortable cage free environment with a caring staff to minimize the stress for both owners and cats. Because The Best Little Cat House is small and houses a limited number of cats, your cat gets personalized attention. Our web cameras allow you to see your cat any time you want. We'll even hold them up to the camera for you! Consider boarding your cat with The Best Little Cat House instead of a government run kennel or quarantine facility. Reduced boarding rates based on the duration of the stay are available. Call for details. What does your cat need to fly? For interstate travel within the "Lower 48", certain requirements must be met before a cat can fly. These requirements are listed below *. The Best Little Cat House can assist with these including ground transport to and from veterinary appointments and drop off at LAX**. All services (ground transport and arrangement of documents) are charged at a rate of $50 per hour. Typical LAX drop off requires 2 1/2 hours though prices may vary. 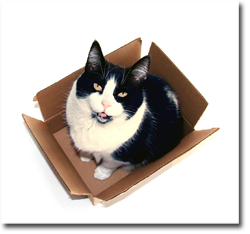 Shipping cats internationally is complex and varies greatly from country to country. The Best Little Cat House can handle each step of the timeline. We've shipped cats to Hawaii, England, The European Union, New Zealand and Australia. We charge $50 per hour for document administration and travel. A typical case for one cat shipped to England or Hawaii including ground transport would be around $500.00 excluding veterinary charges, airport and customs taxes, the cost of the flight and boarding prior to shipment. All of those exclusions are straight reimbursements, we don't mark anything up, and all original receipts are provided at the end of the process. For each additional cat shipped you would double the aforementioned exclusions however additional cats do not significantly affect our prices. * Airline requirements vary from carrier to carrier. Please check with your airline for specific details if you are handling you own paperwork. ** Please Note: ALL ground transportation provided by the Best Little Cat House is charged at $50 per hour round-trip including airport drop-offs and pick-ups. ** Generally pet carriers must be of sufficient size for the cat to stand fully upright with one inch of space above the ear tips. They must also be hard sided and contain two empty bowls and absorbent bedding. A "ship-to" address should be written on the outside of the carrier along with feeding and watering instructions should the flight be delayed. Top loading pet carriers, especially those that have the wire-type cage top are prohibited.